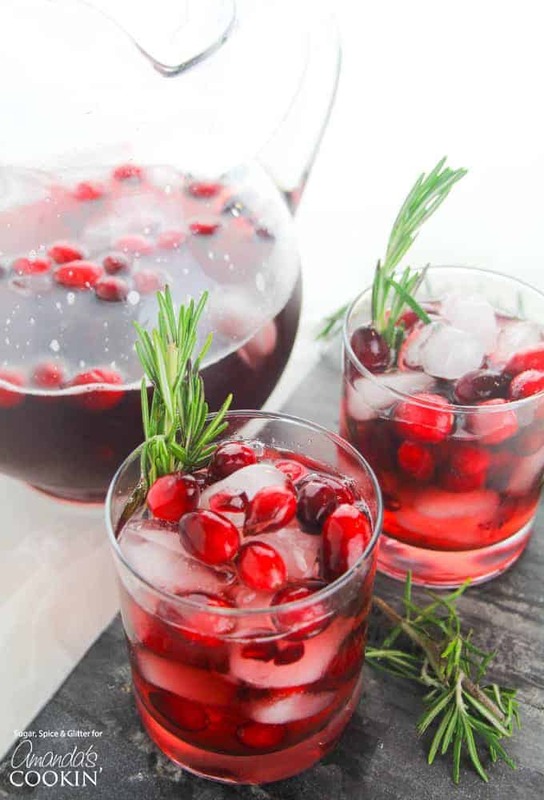 Cranberry Holiday Punch: a delicious holiday drink idea! 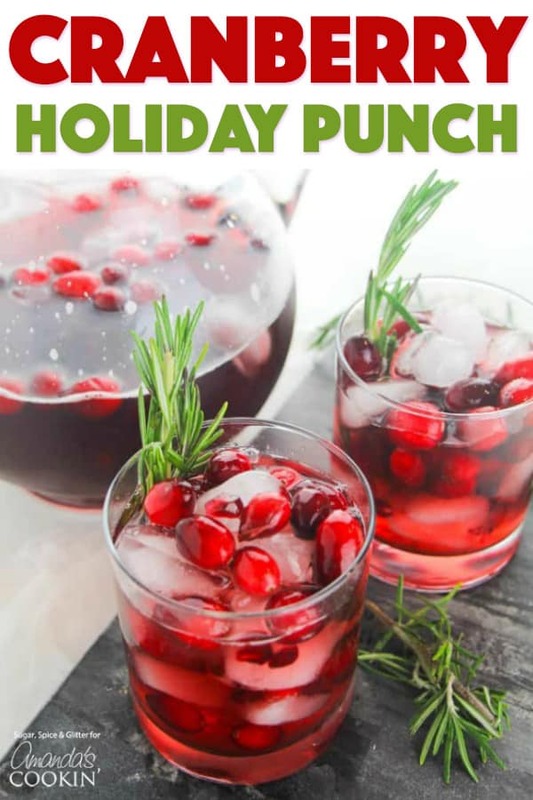 A fun holiday punch recipe, this Cranberry Holiday Punch is perfect for your Christmas party or a festive brunch! 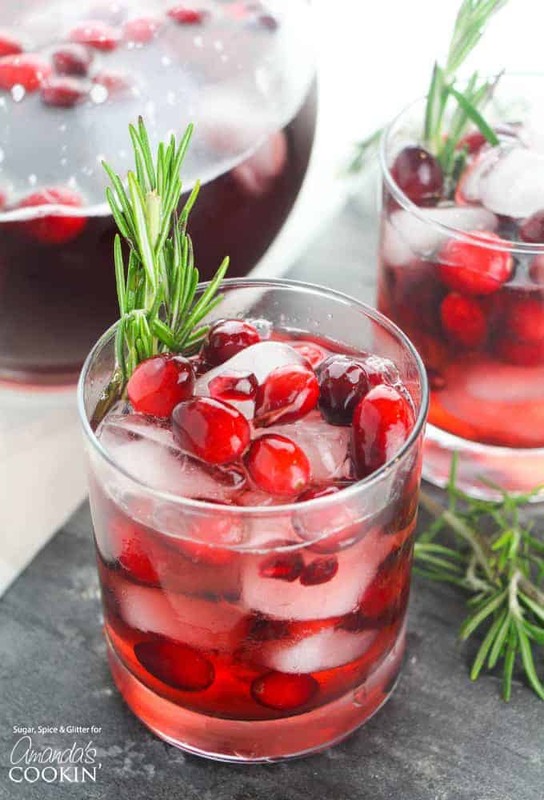 Christmas is a fun, jubilant time of year that is worthy of a fun, bubbly cocktail to celebrate it! Serve it up alongside our Holiday Grain Salad for the perfect holiday pairing. 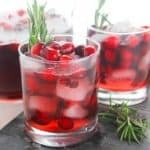 I usually find most Christmas cocktails a bit heavy and strong, which is nice to counteract the chill outside, but sometimes you want something lighter for a party – and that’s where this Cranberry Holiday Punch comes in! This effervescent cocktail is bubbly, flavorful and perfect for just about any holiday get-together. 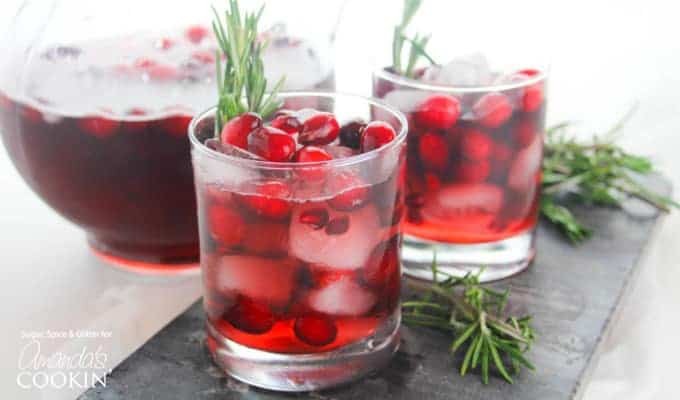 Using cranberry juice allows this to serve as a casual brunch or mid-afternoon cocktail, however, you can make it stronger by swapping out the cranberry juice for cranberry-flavored vodka (or cranberry wine). You can also swap out the cranberry juice for pomegranate juice, orange juice, or even some limeade. 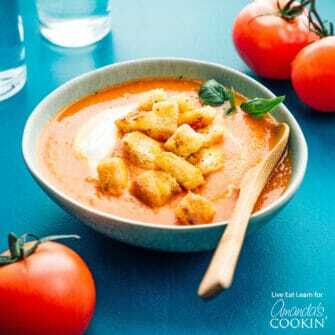 You’re going to want plenty of ice on hand for this recipe, and those cute springs of rosemary are not totally necessary but I think they add a festive touch. Alternatively, you can sugar some cranberries and string them on a cocktail stick for a garnish. And if you’re looking for a simple recipe to use up the rest of your cranberries, check out my super simple Cranberry Cake or Amanda’s Cranberry Cream Cheese Pastries. Make plenty of ice. More than you think you’ll need. Fill your pitcher or punch bowl half full with ice and have more on hand for individual glasses. Add in the cranberries and pomegranate seeds. Add the cranberry juice, sparkling wine, simple syrup, and top off to taste with the cranberry ginger ale. Pour or ladle into individual serving glasses and garnish with rosemary, if desired. 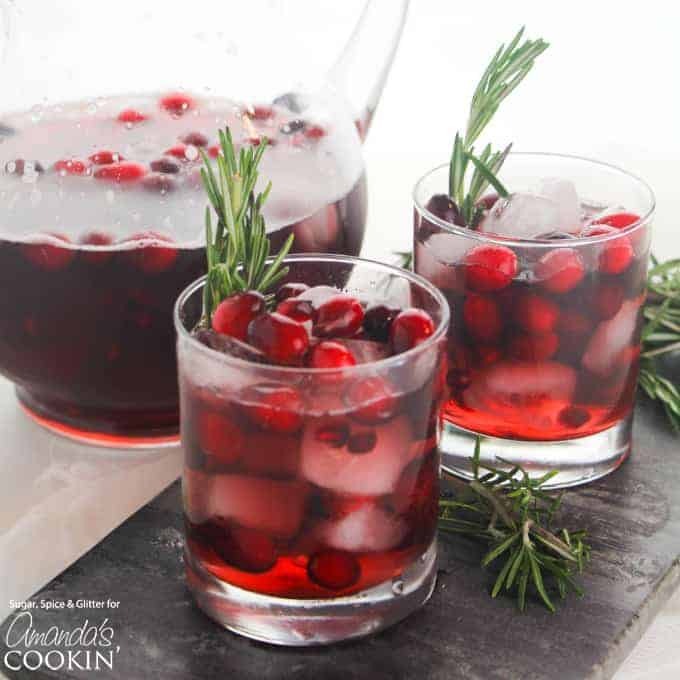 Do you have a fun holiday occasion coming up that this Cranberry Holiday Punch would be perfect for? 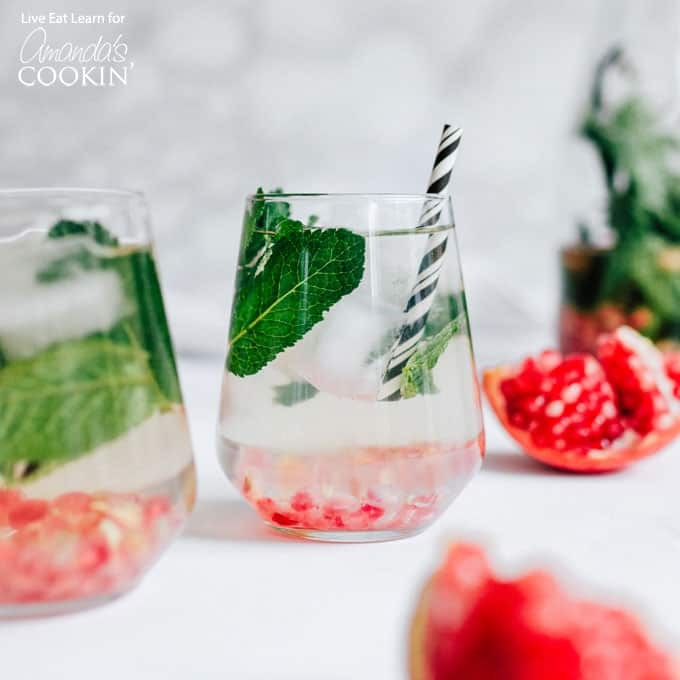 If you’re looking for an after-holiday cleanser, this Holiday Detox Drink is quick to whip up and so refreshing. With pomegranate and mint, it’s the perfect hydration for after those heavy holiday meals. 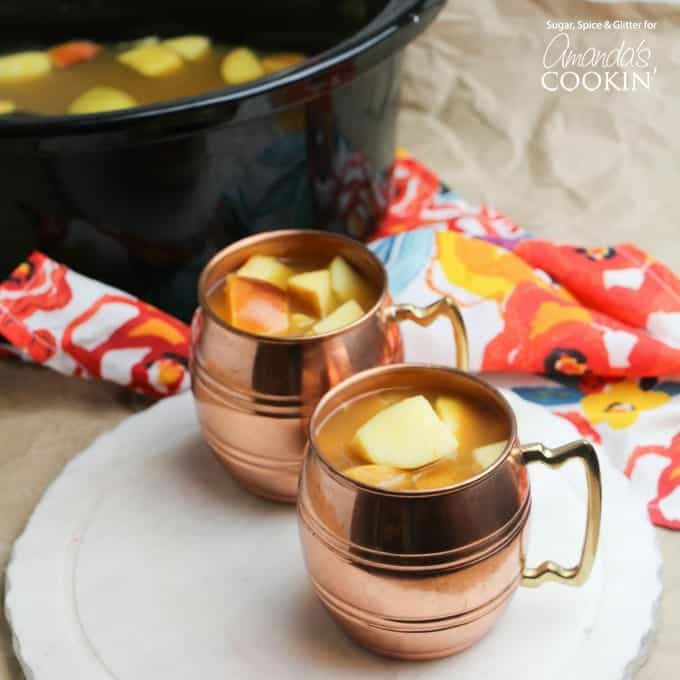 Another great party drink is this Crockpot Caramel Apple Cider. It’s the perfect warm drink to serve to a crowd this fall – and with no caffeine, kids can enjoy this delicious treat, too! 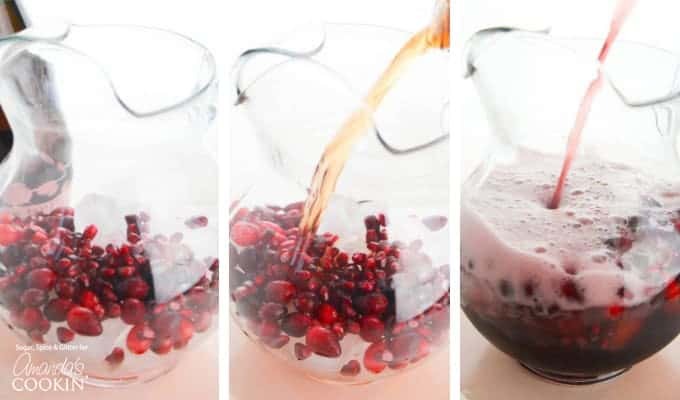 This delicious holiday punch is filled with cranberries, pomegranate seeds, juice, prosecco and more. Perfect for Christmas and New Years! Make plenty of ice. More than you think you'll need.